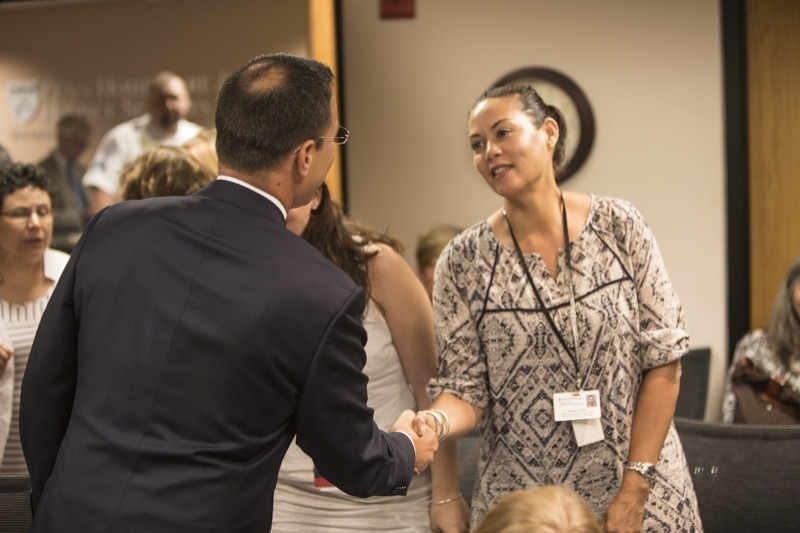 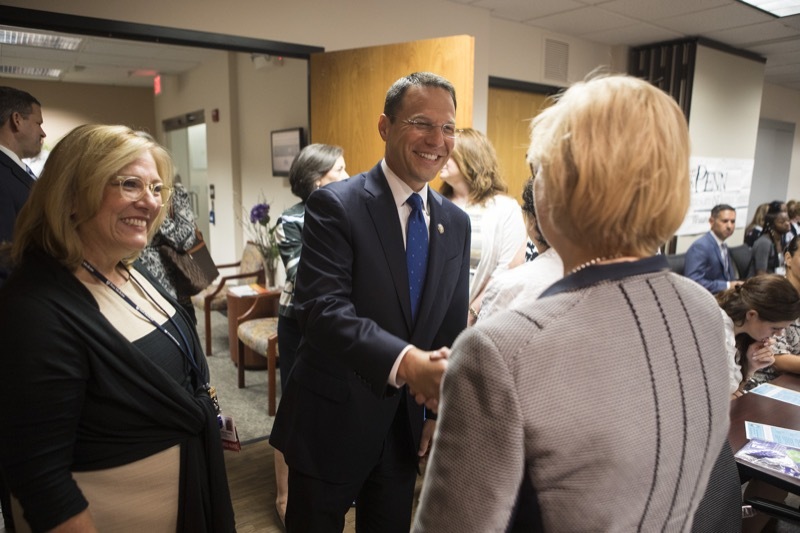 DHS Deputy Secretary for the Office of Child Development and Early Learning (OCDEL) Suzann Morris was joined by stakeholders and providers to launch revisions to the Keystone Standards, Training/Professional Development, Assistance, Resources and Support (STARS) program. 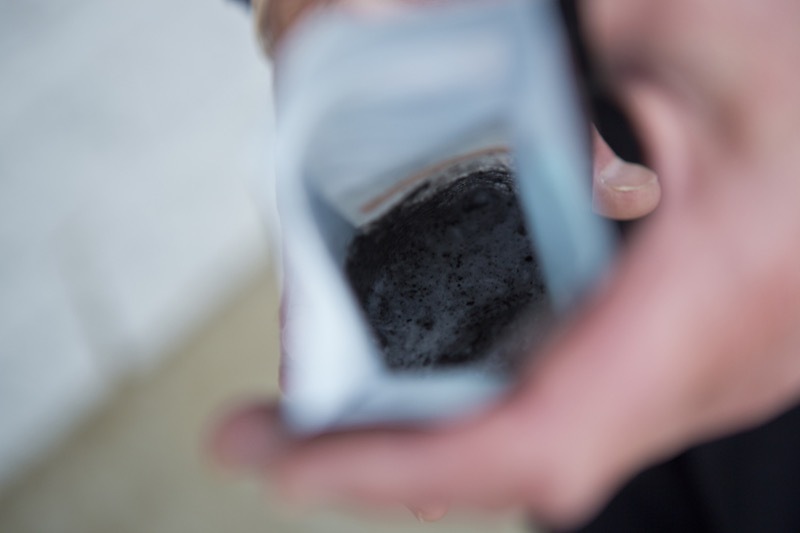 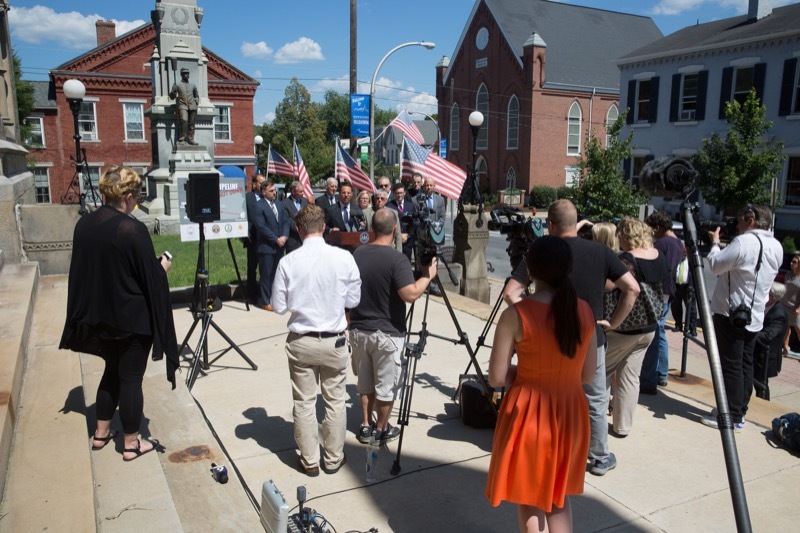 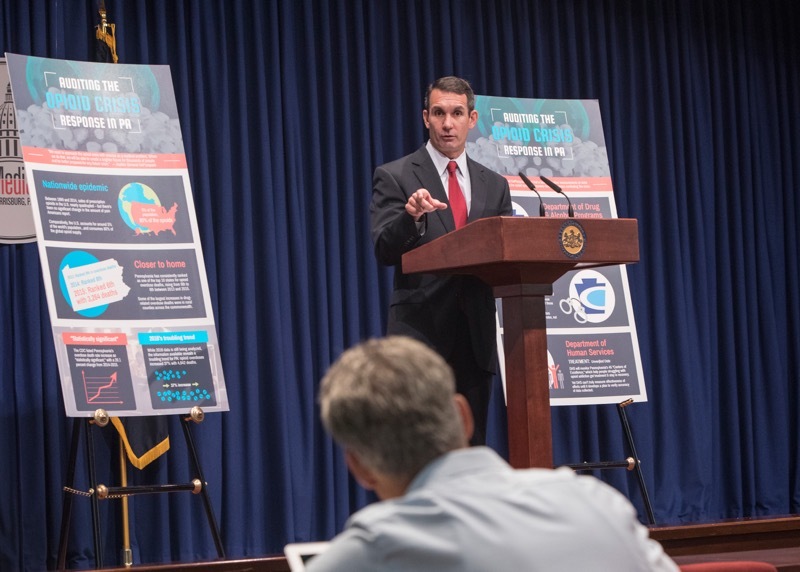 Attorney General Josh Shapiro, Blair County District Attorney Rich Consiglio and other officials today announced charges against 16 drug dealers for operating a ring that sold 780,000 bags of heroin in Blair and Cambria counties worth an estimated $7.8 million over 13 months. 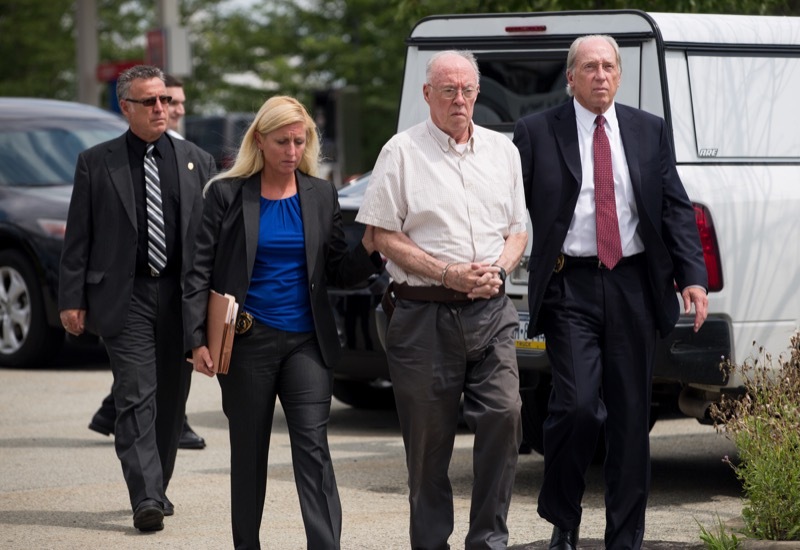 The ring also sold cocaine worth $1.9 million as well. 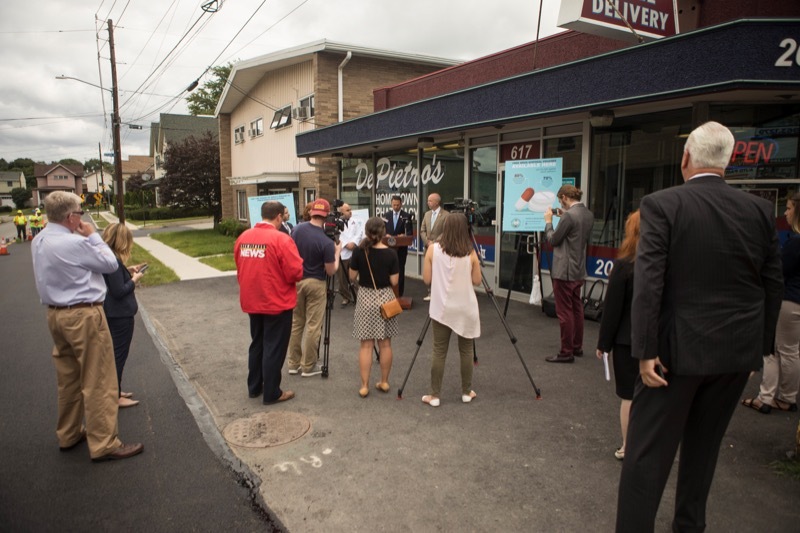 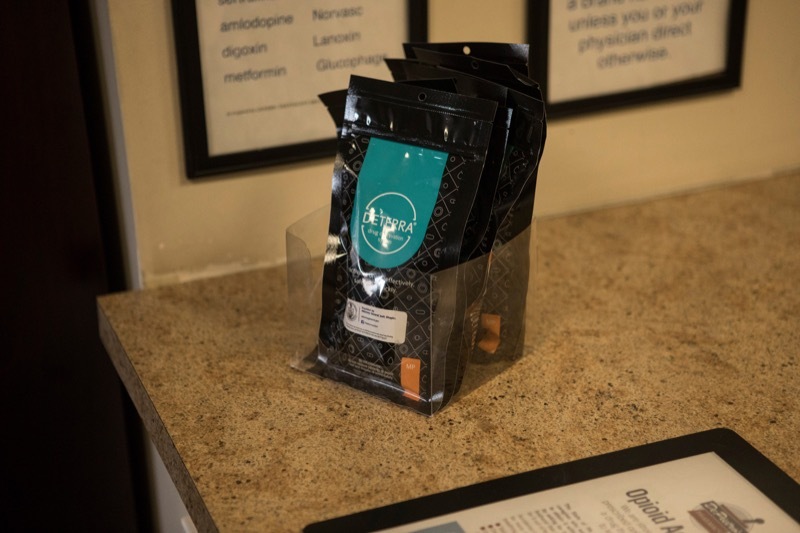 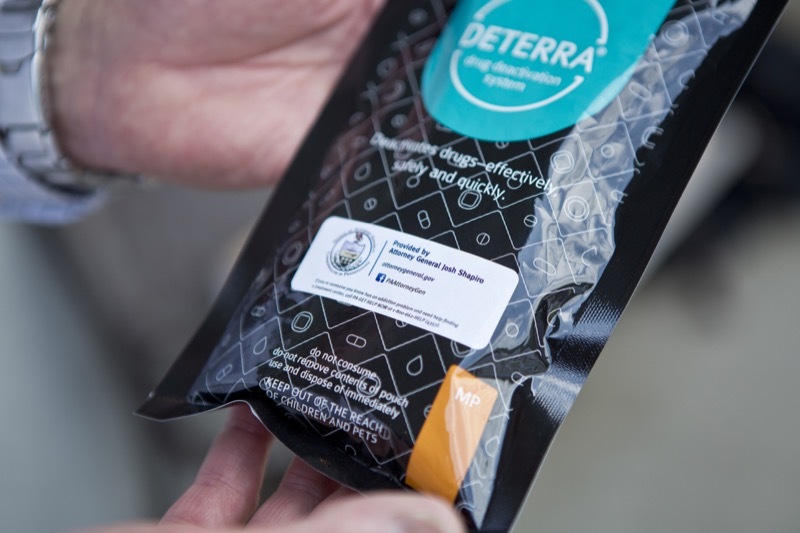 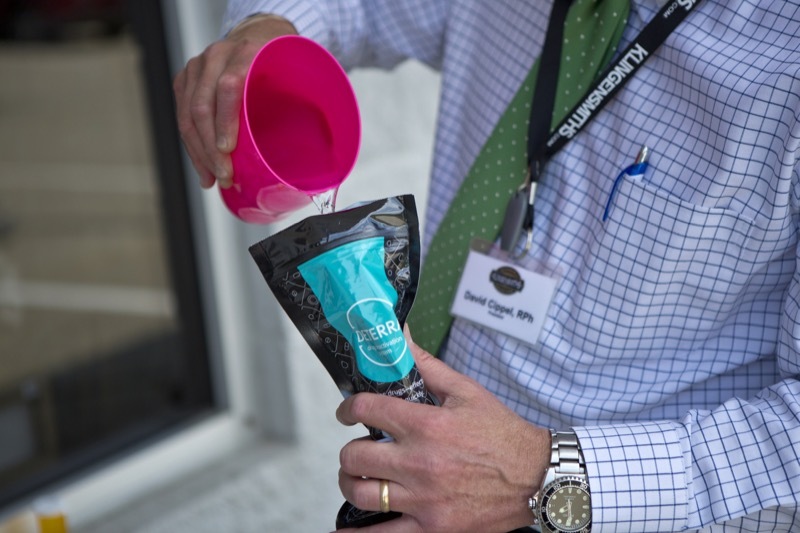 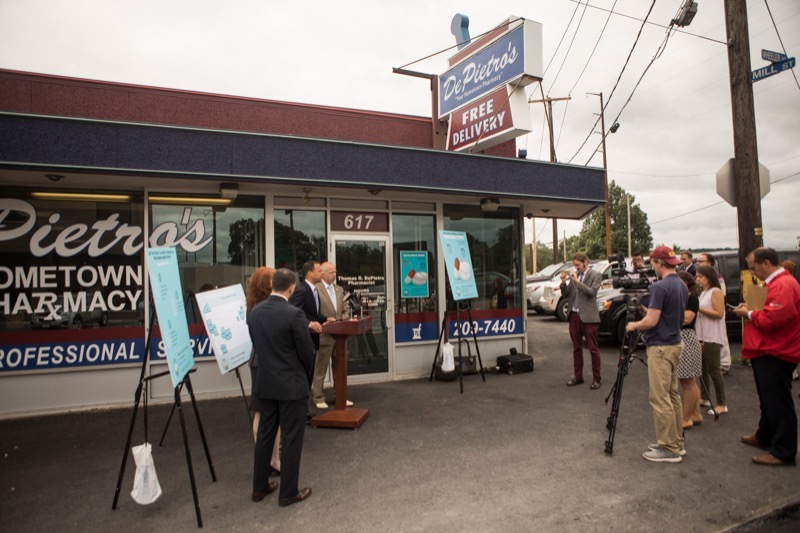 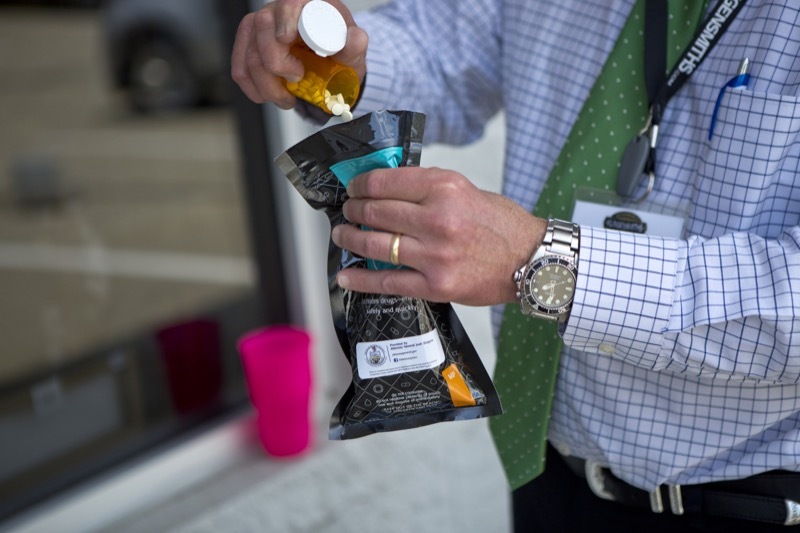 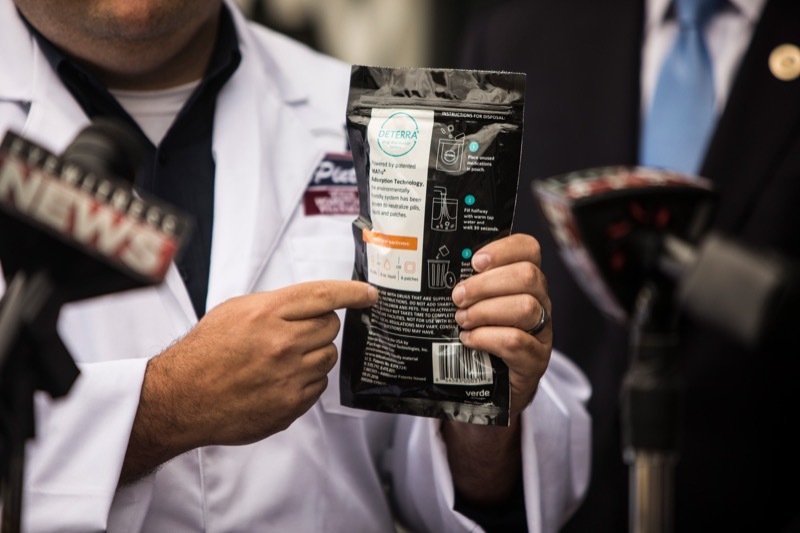 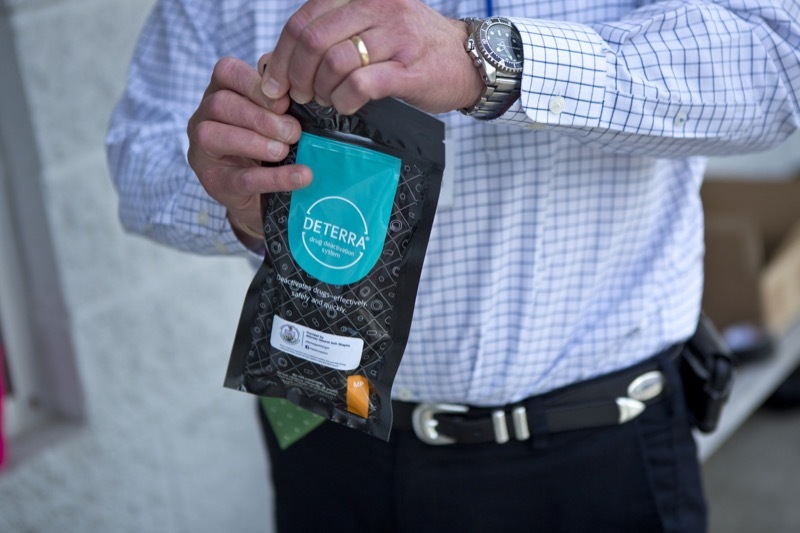 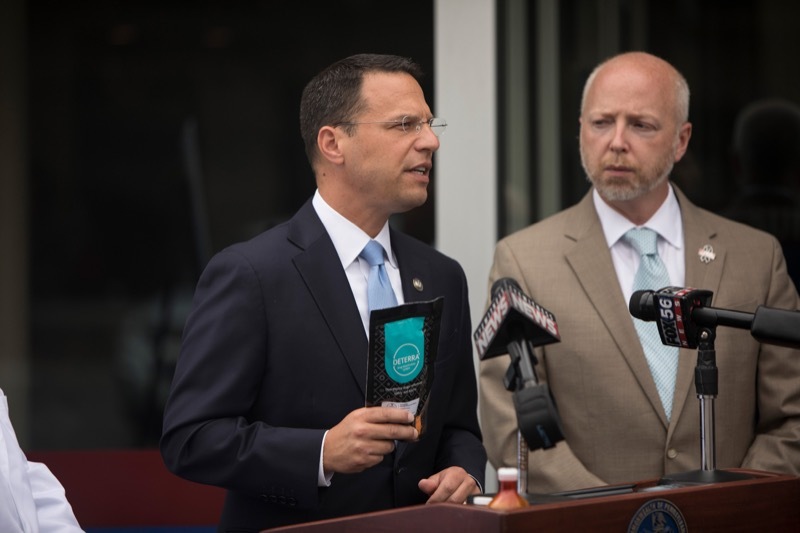 Harrisburg, PA - The Wolf Administration today announced that the dry leaf form of medical marijuana will be phased in at dispensaries starting Aug. 1 at 16 locations and expanding to 28 locations the following week. 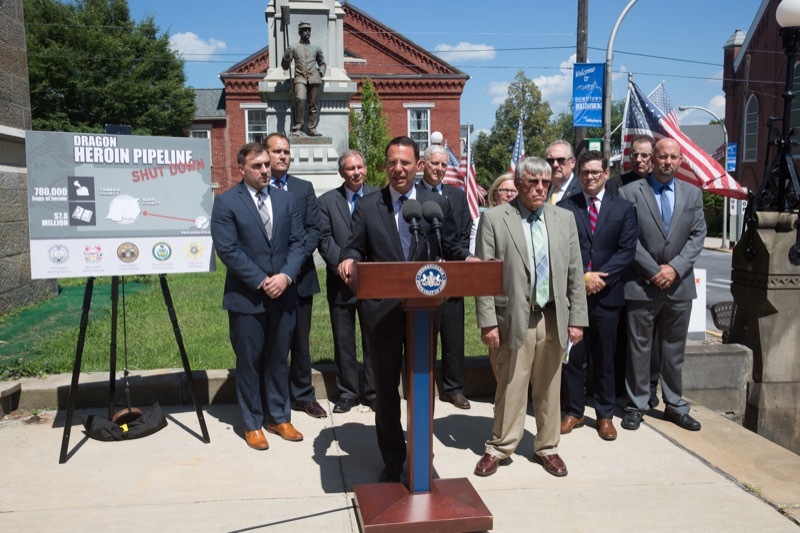 Governor Tom Wolf today helped celebrate the opening of a new compressed natural gas (CNG) station at a Shipley Energy fleet fueling facility in Spring Garden Township, York County. 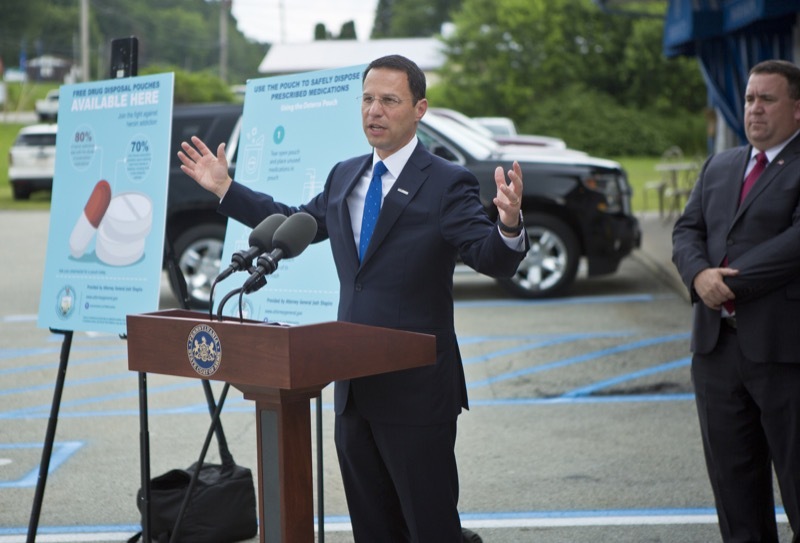 The CNG station, located at the intersection of Interstate 83 and Route 30, is a partnership between Shipley Energy of York and Clean Energy Fuels Corp of California. 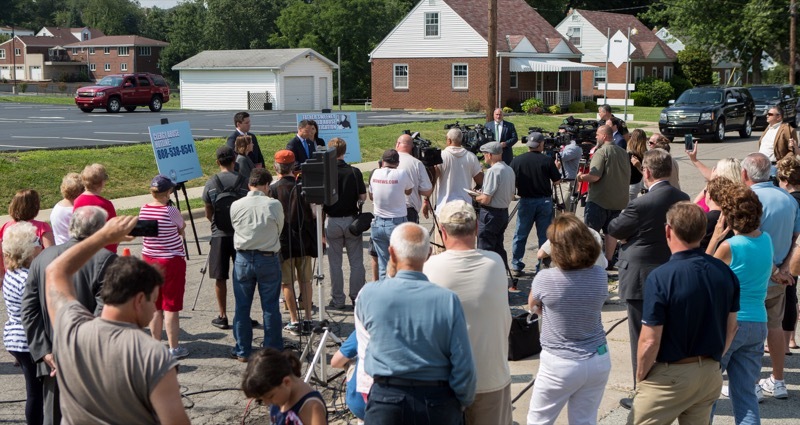 The CNG station and five Shipley Energy CNG fleet vehicles received nearly $600,000 in state incentives. 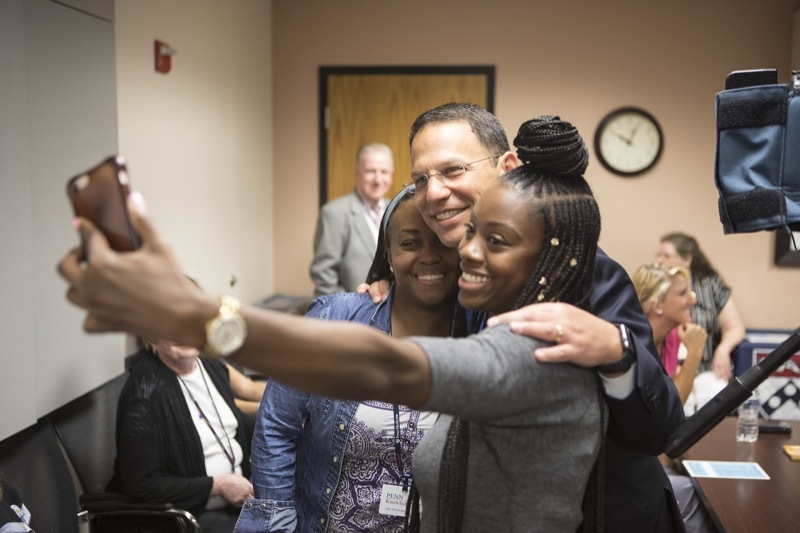 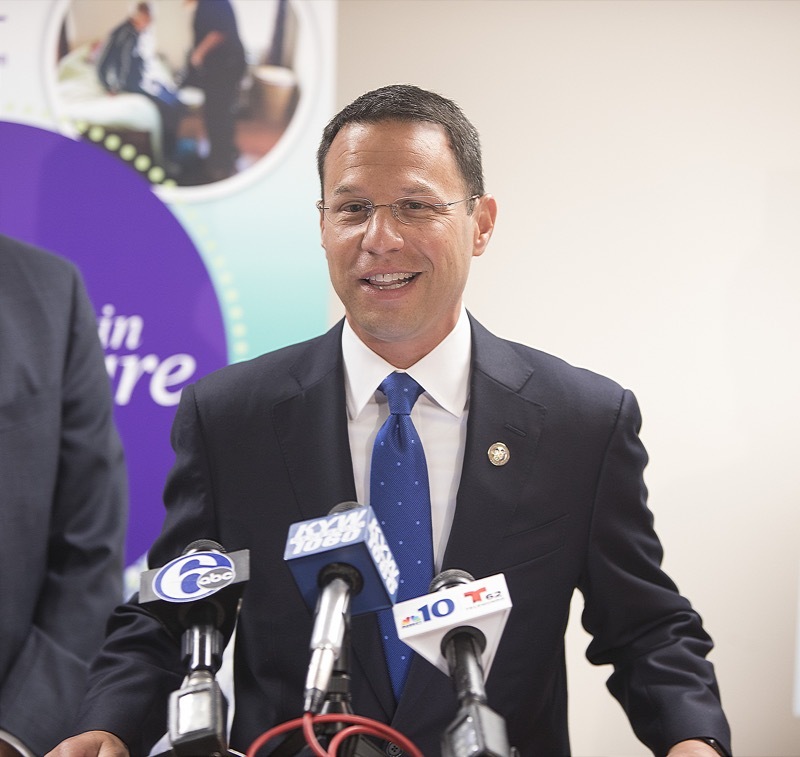 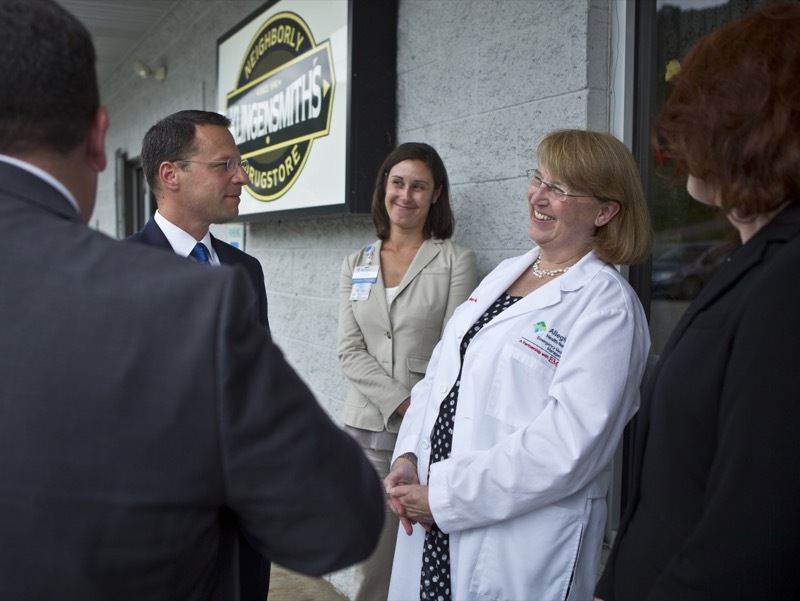 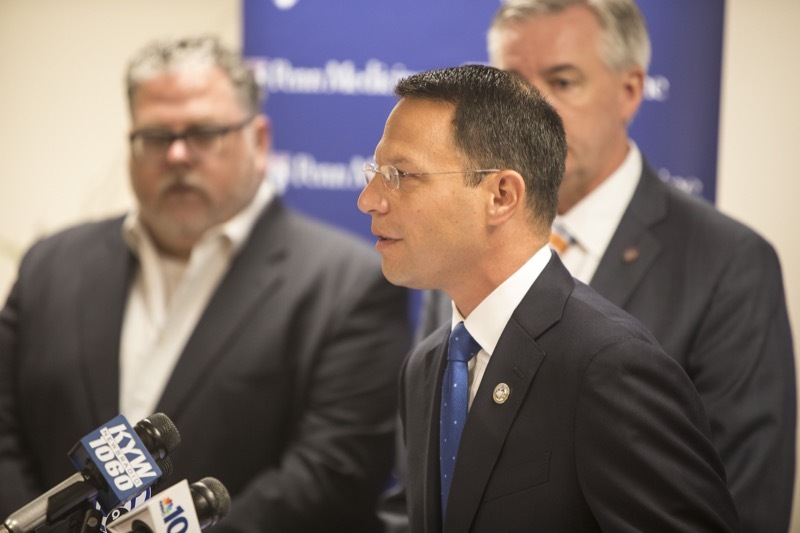 BALA-CYNWYD - Attorney General Josh Shapiro today brought the Office of Attorney General's drug deactivation and disposal pouch initiative to hospice providers in Montgomery County, part of a broader effort to provide 50,000 pouches to 97 homecare and hospice organizations in 17 counties to reduce the diversion of prescription drugs fueling the opioid epidemic. 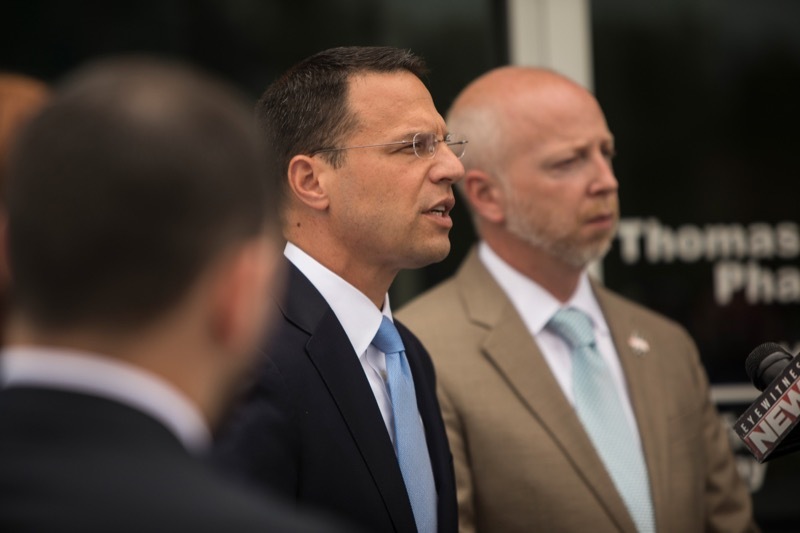 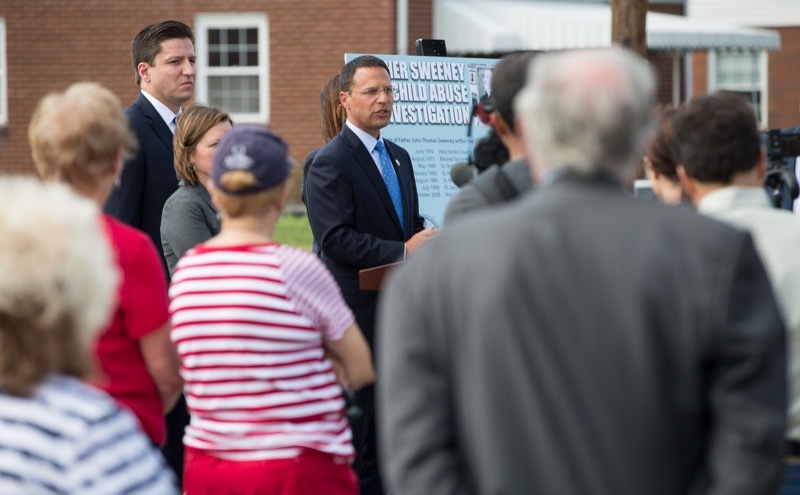 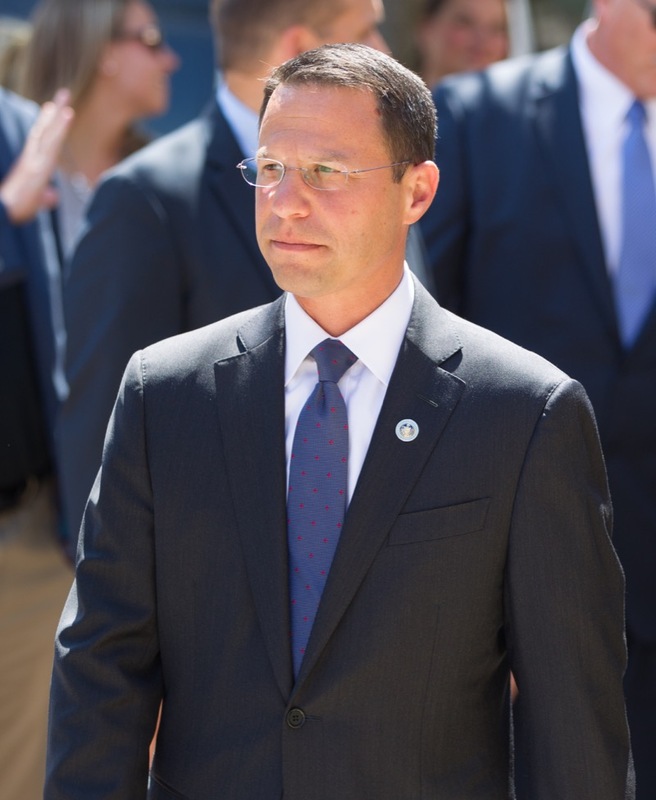 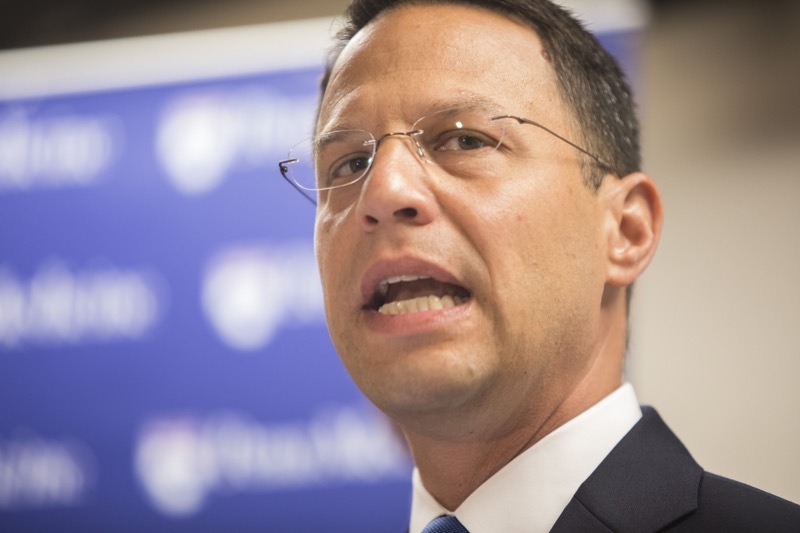 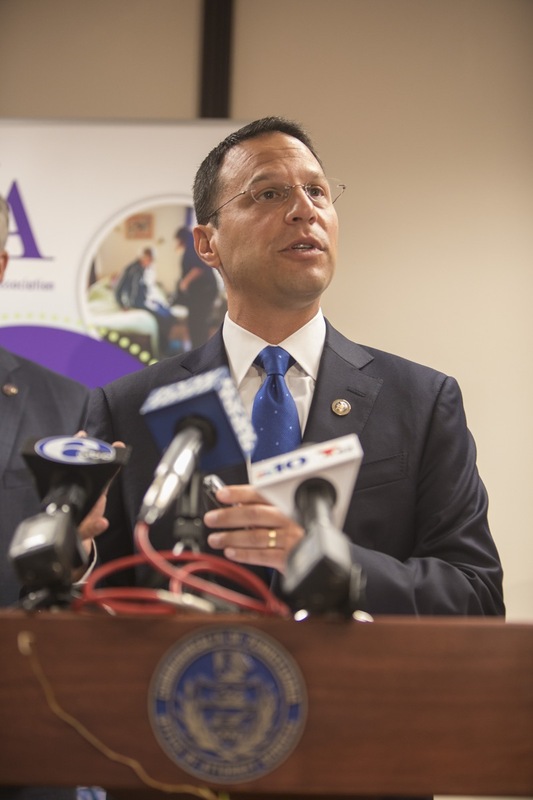 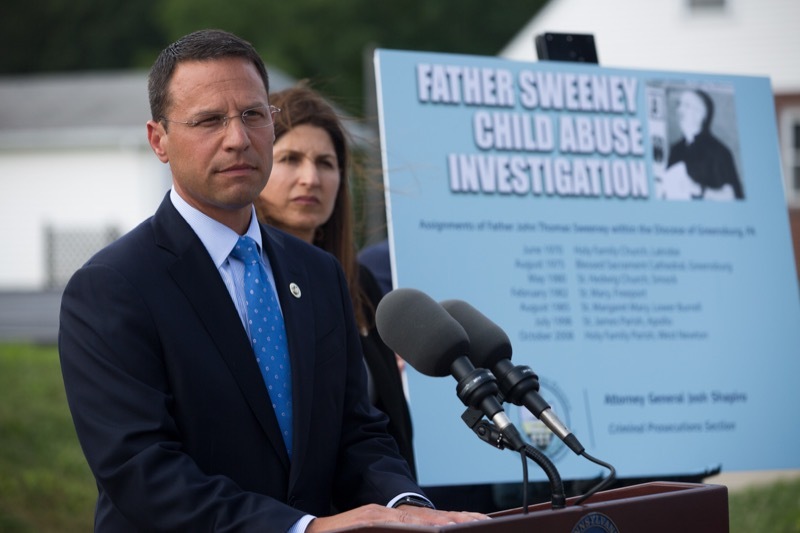 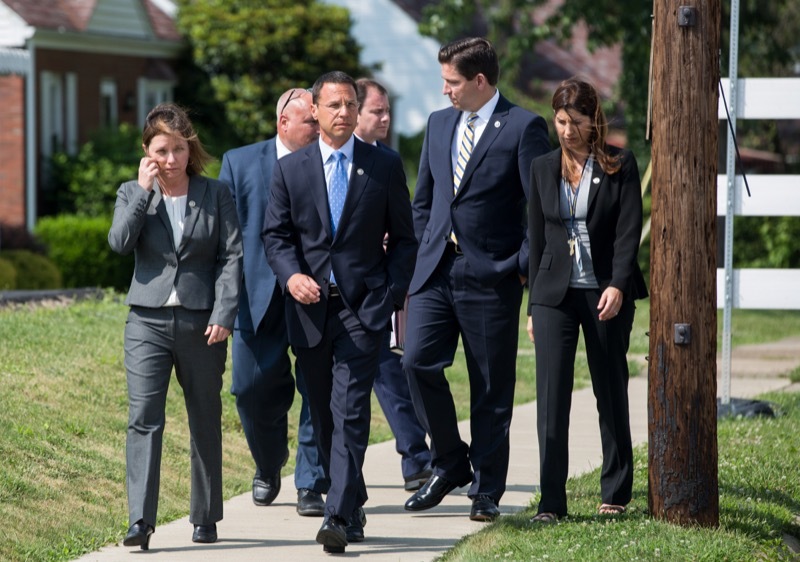 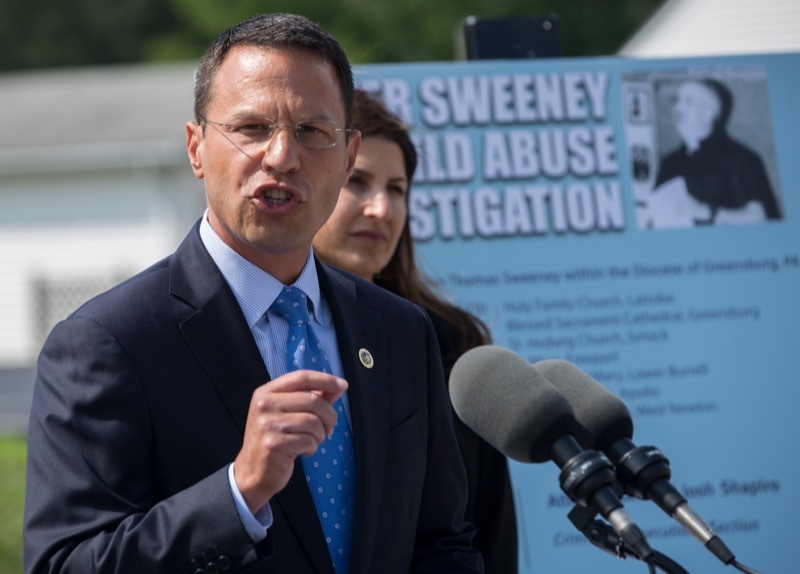 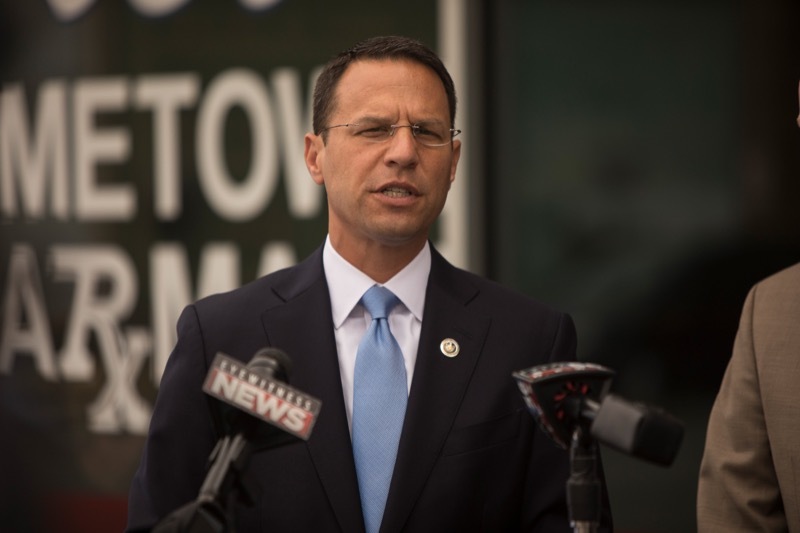 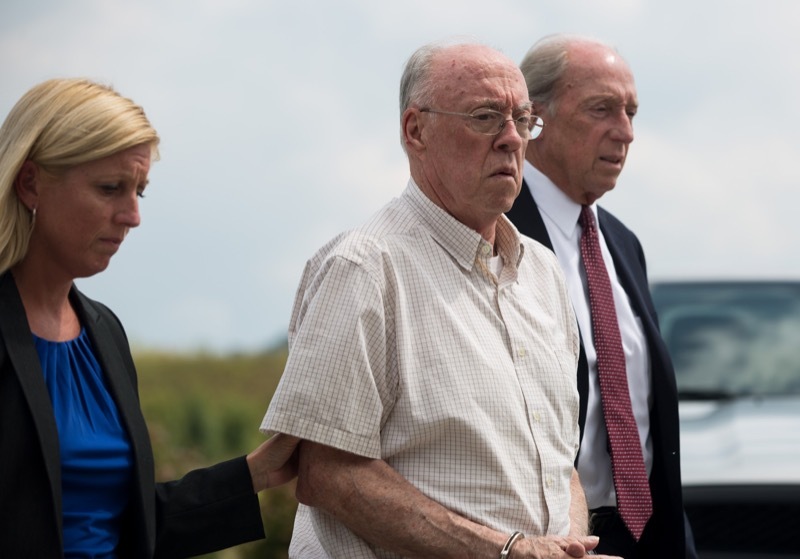 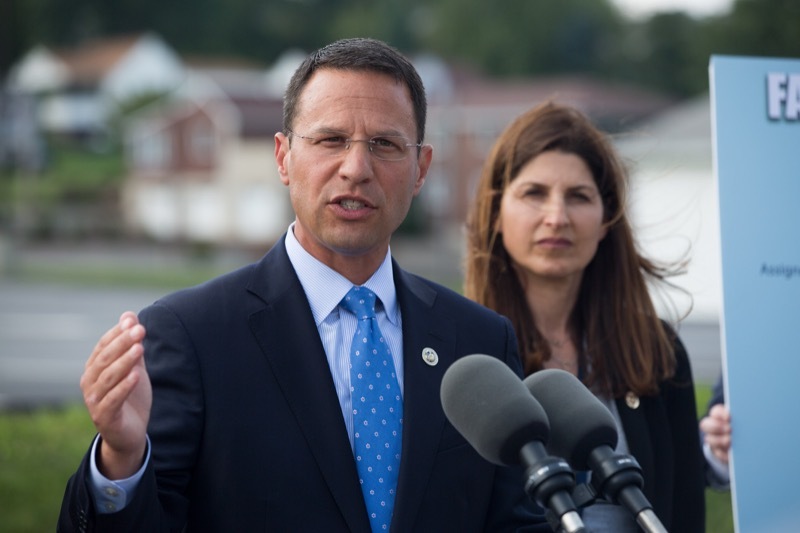 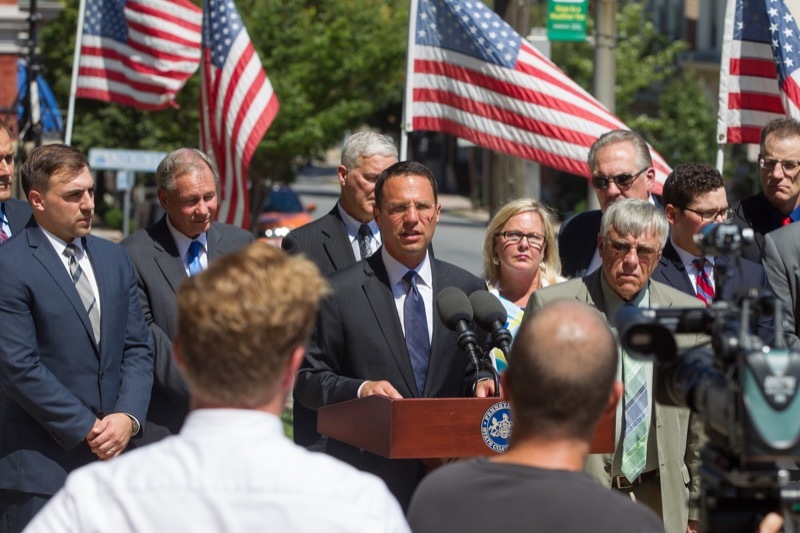 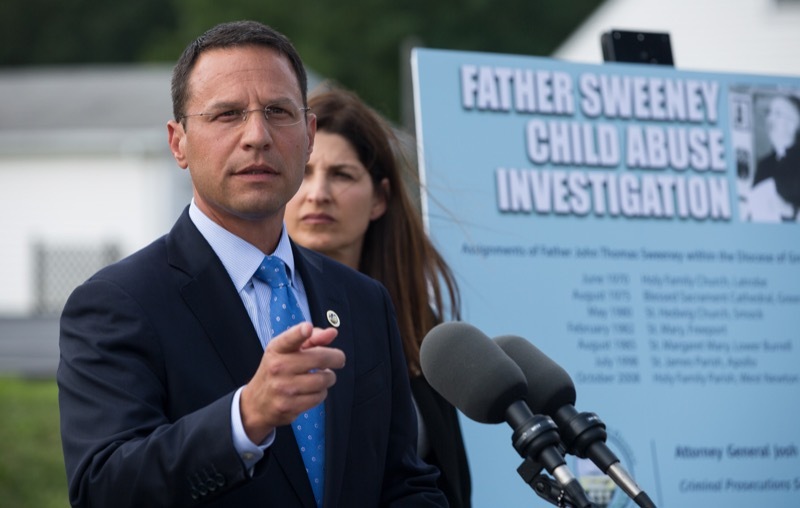 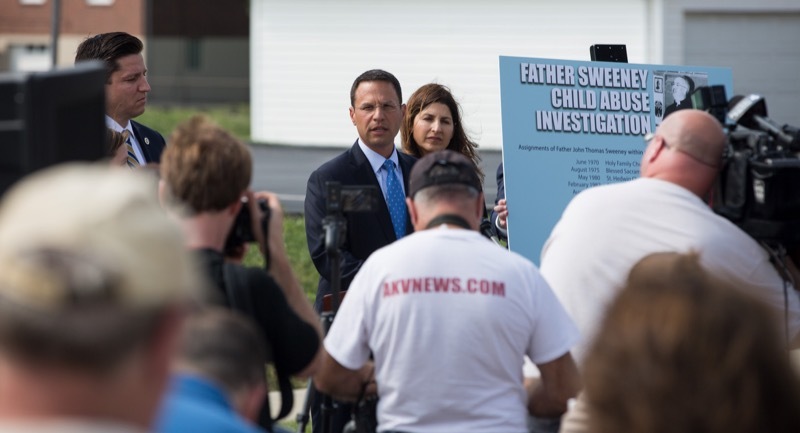 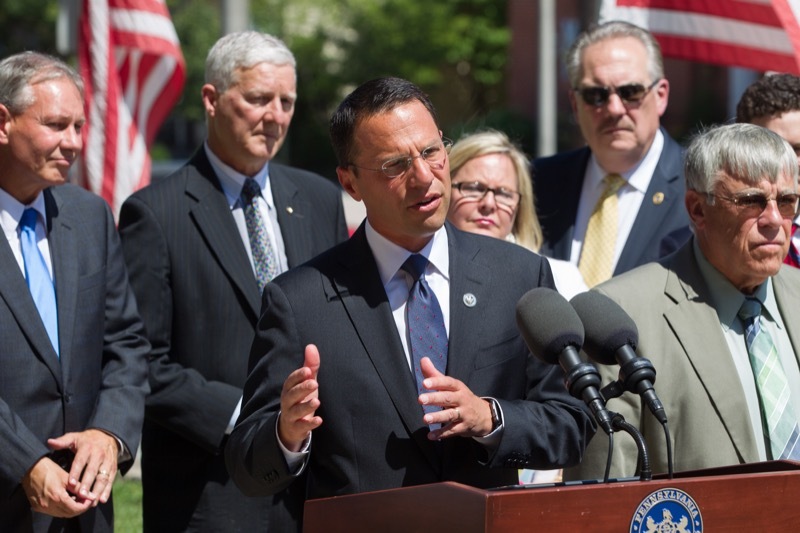 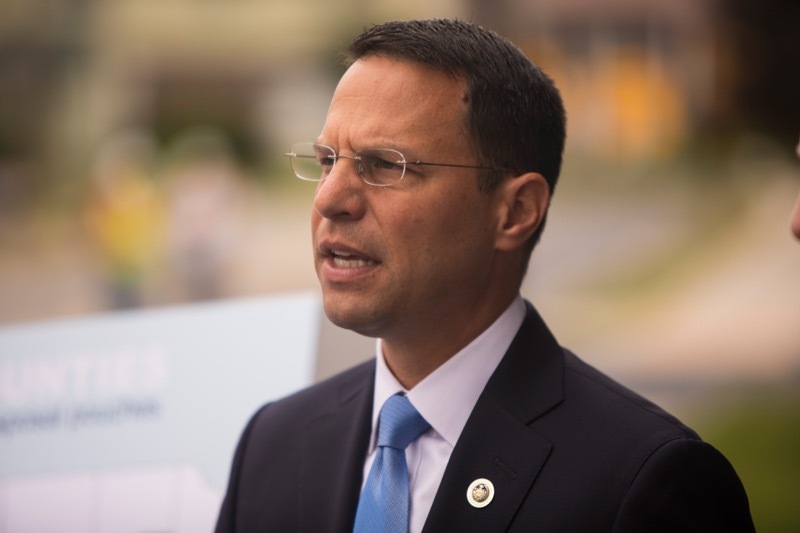 Attorney General Josh Shapiro today announced criminal charges against a Catholic priest in Westmoreland County for a sexual assault committed against a 10-year-old boy. 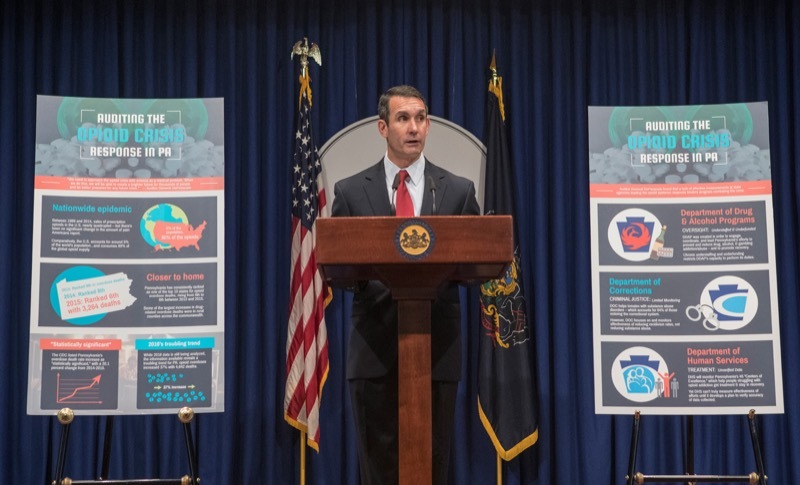 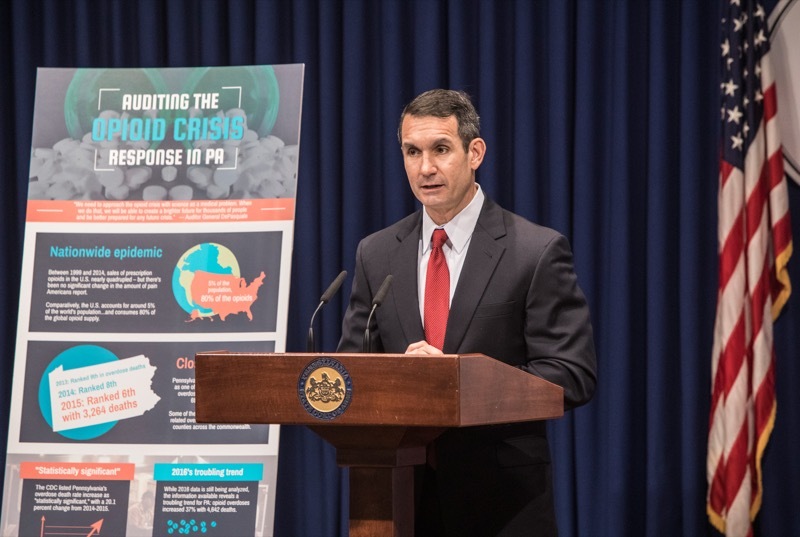 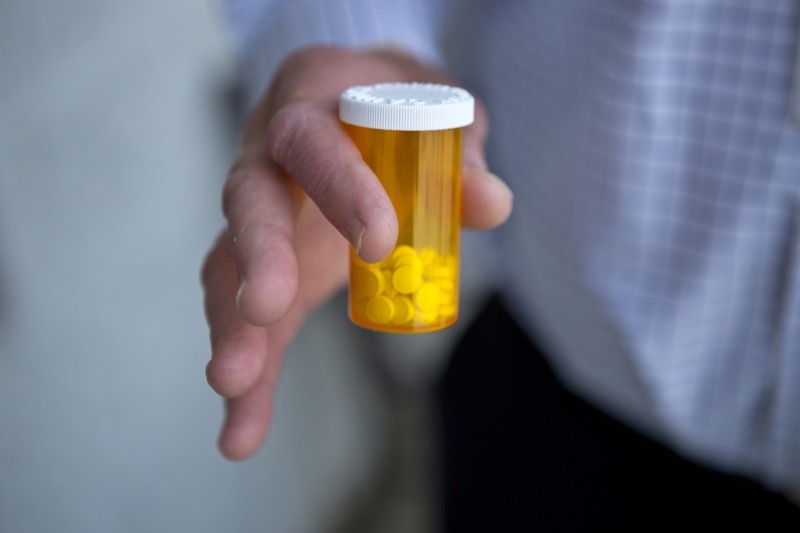 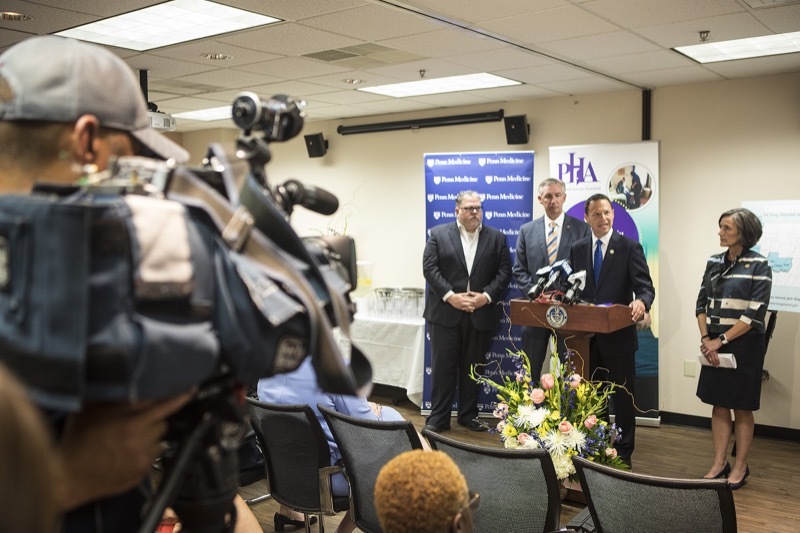 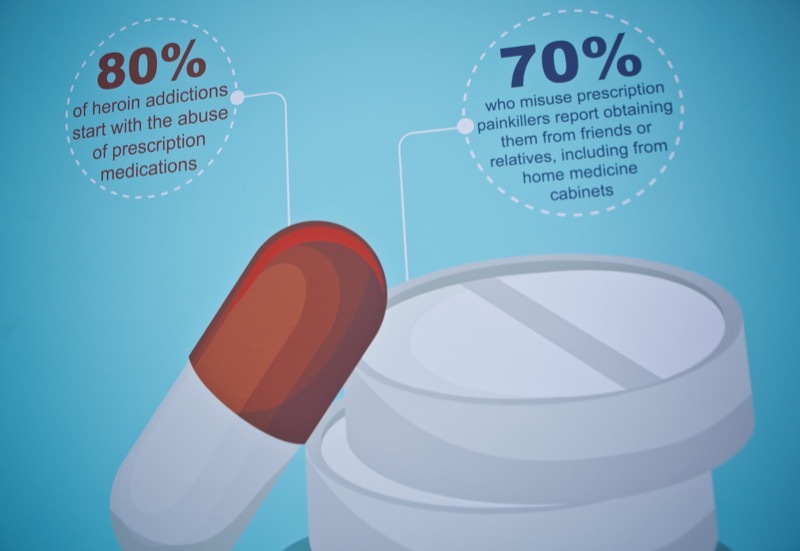 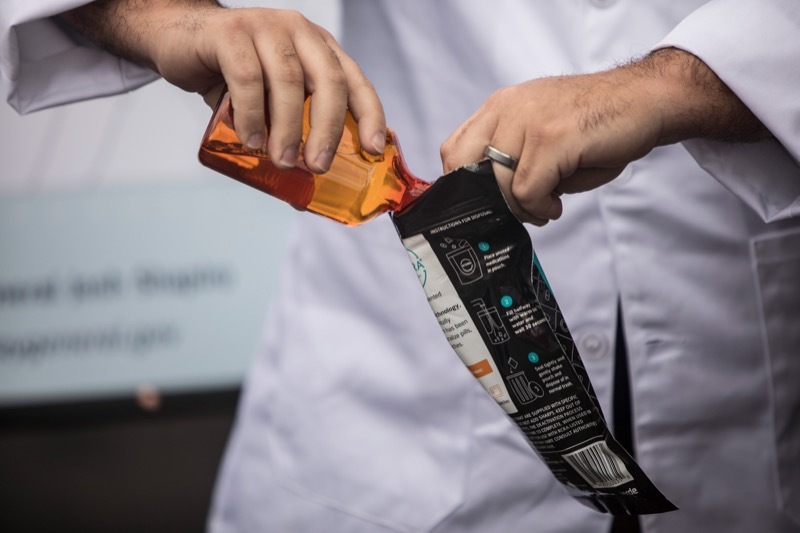 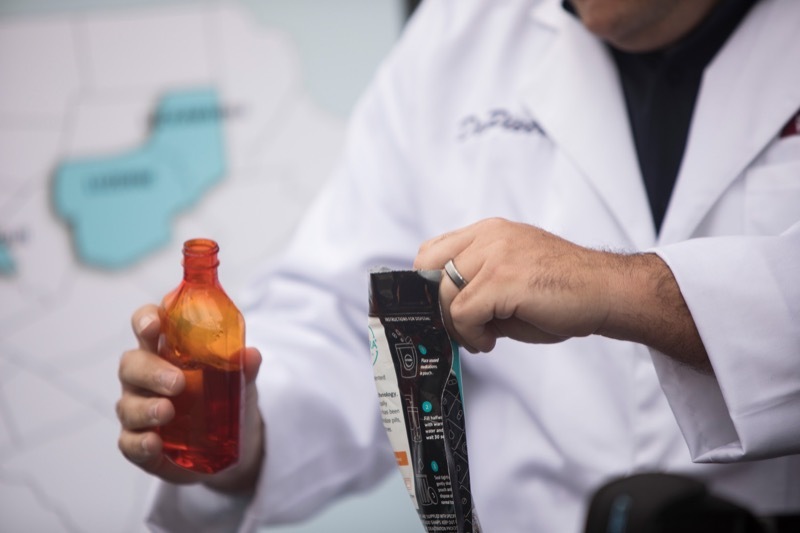 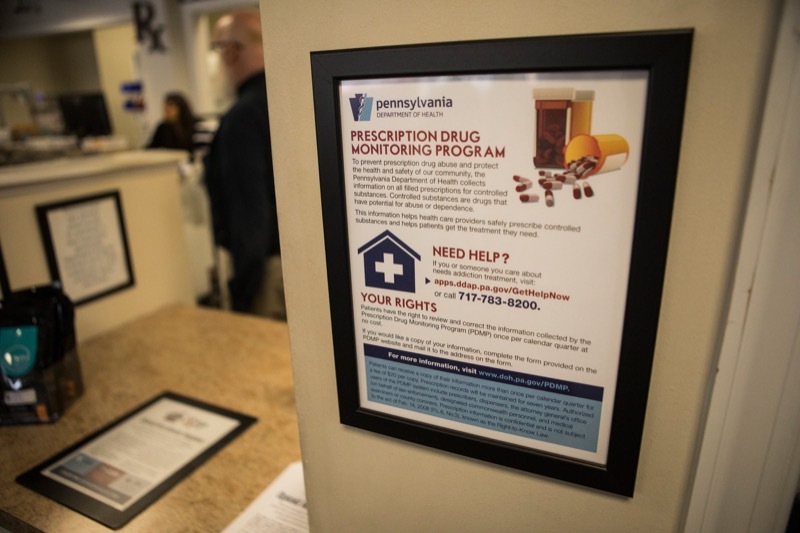 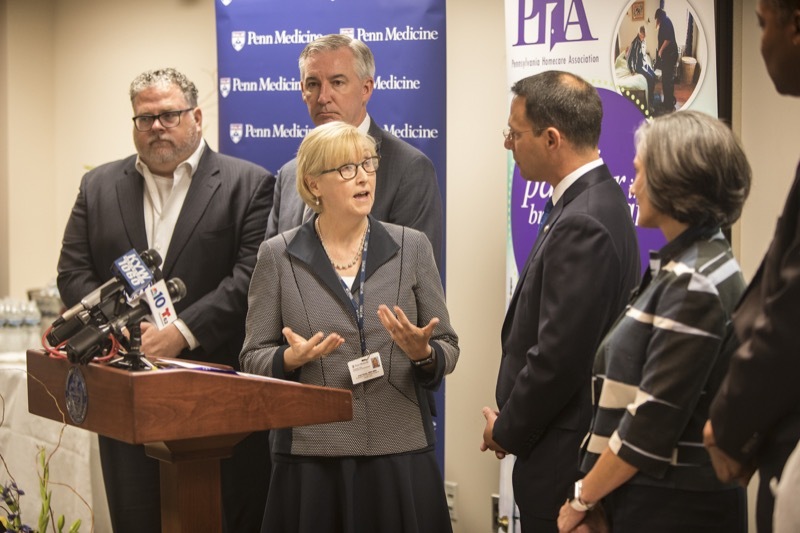 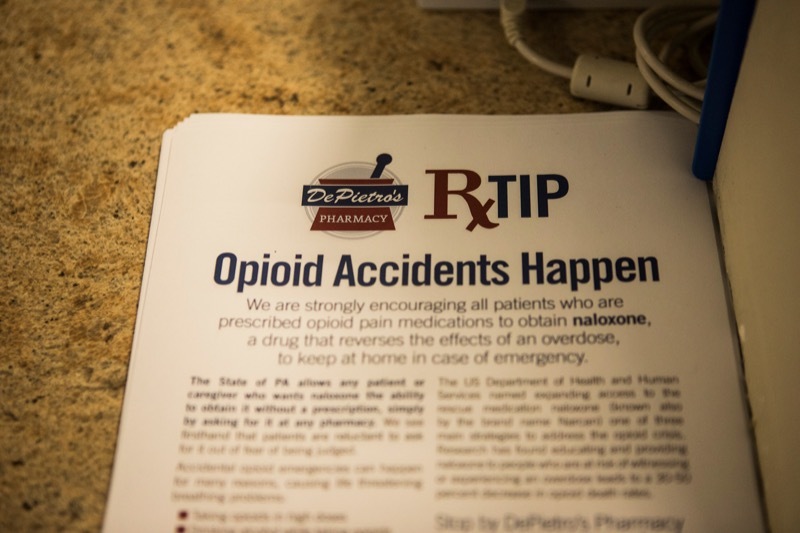 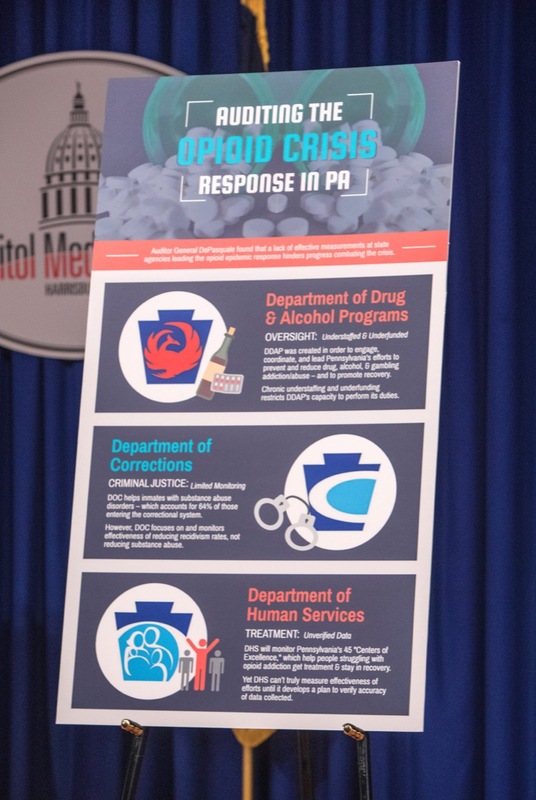 Auditor General Eugene DePasquale today said audits of the three agencies that are at the forefront of Pennsylvania's opioid crisis response show that progress is being made, but measuring effectiveness is complicated because each agency has a different definition of effectiveness. 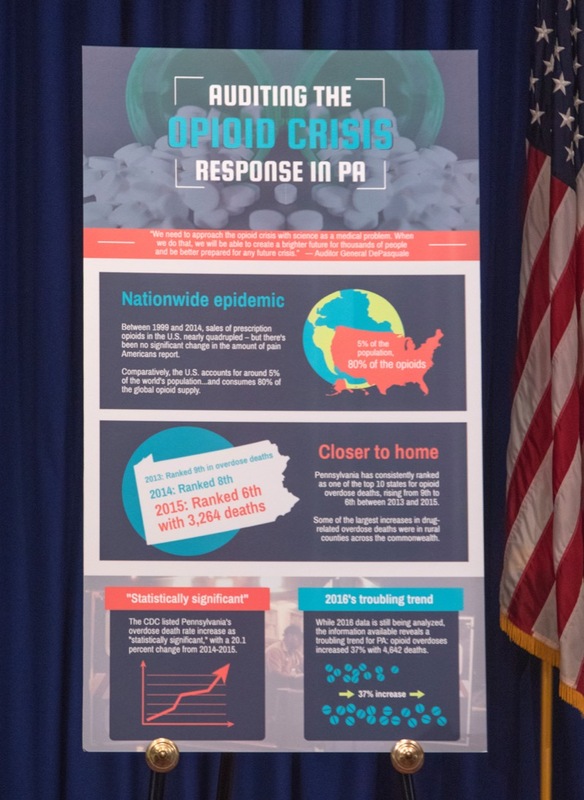 Governor Wolf was joined today by Clarion University President Dr. Karen Whitney; Dr. Ray Feroz, Chair of the Clarion University Department of Human Services, Rehabilitation, Health and Sport Sciences; PA Department of Health Acting Secretary Dr. Rachel Levine, and PA Department of Drug and Alcohol Program Acting Secretary Jennifer Smith, to announce Clarion University's online Opioid Treatment Specialist certificate program. 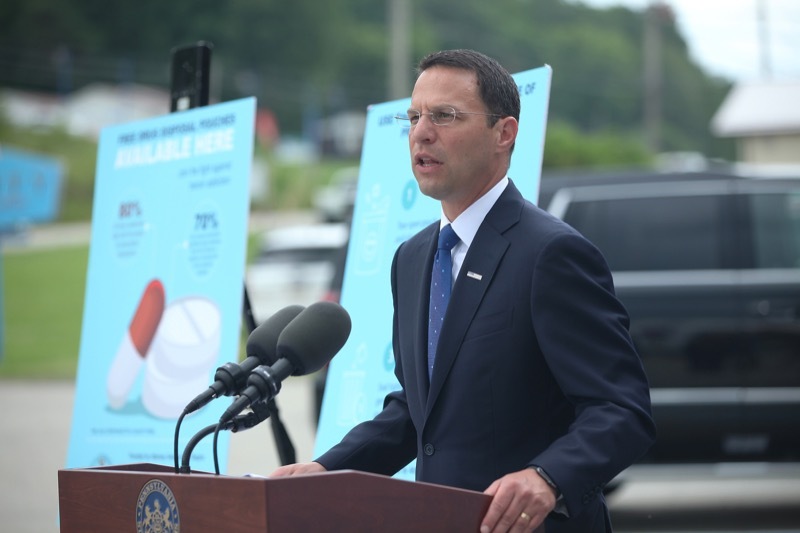 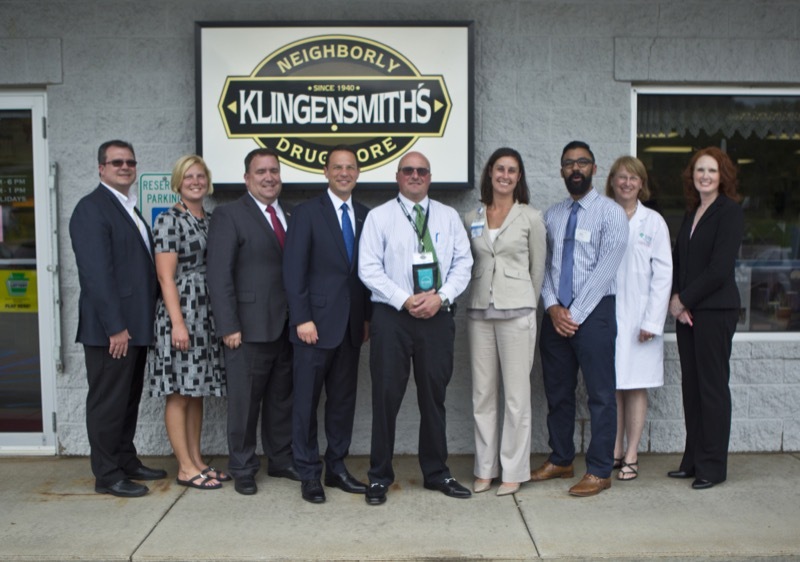 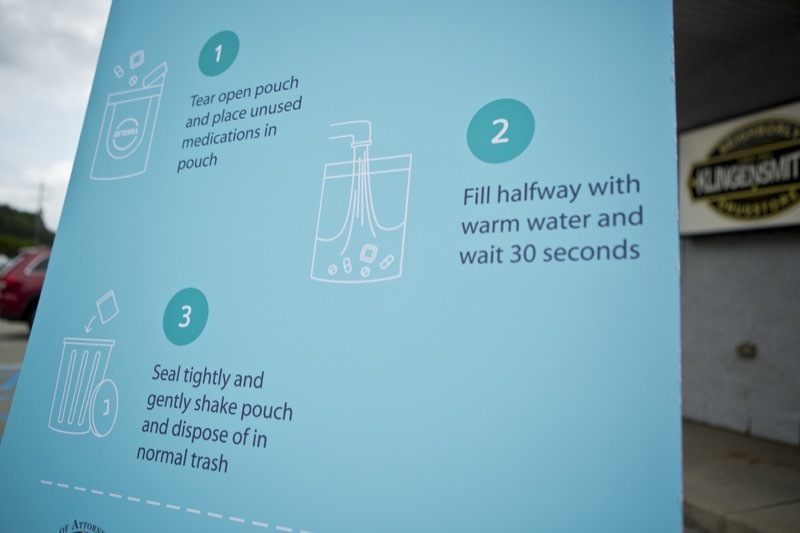 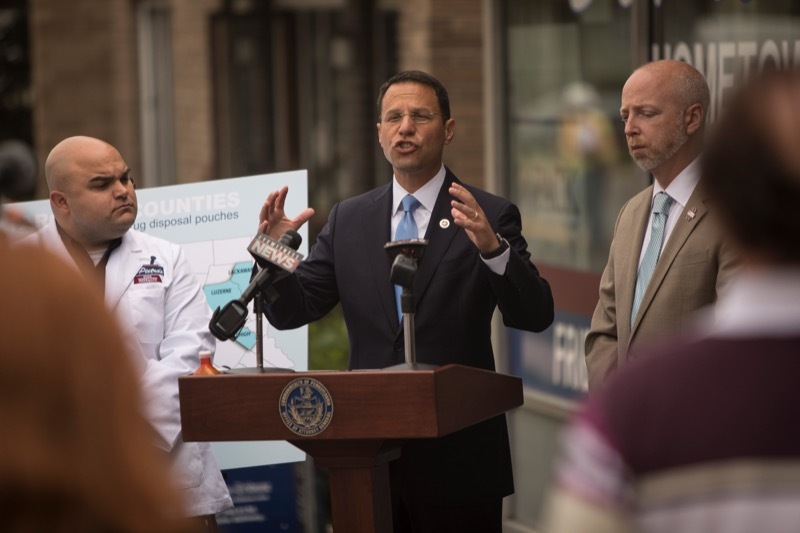 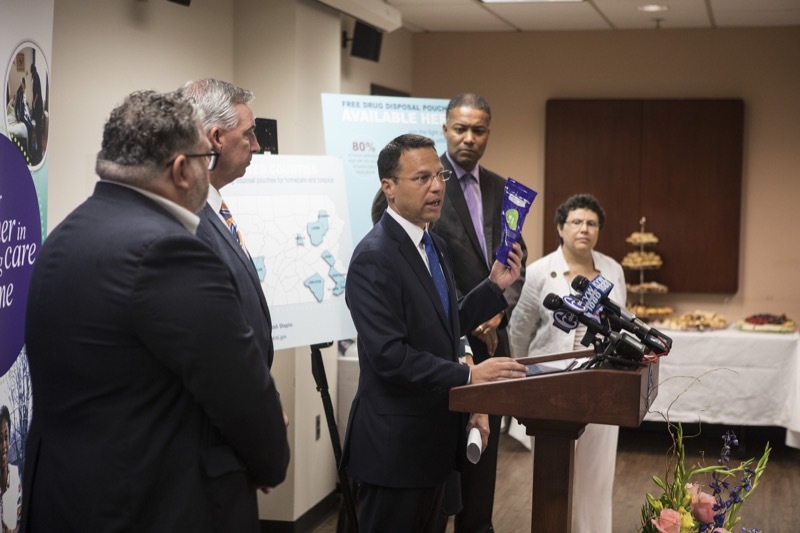 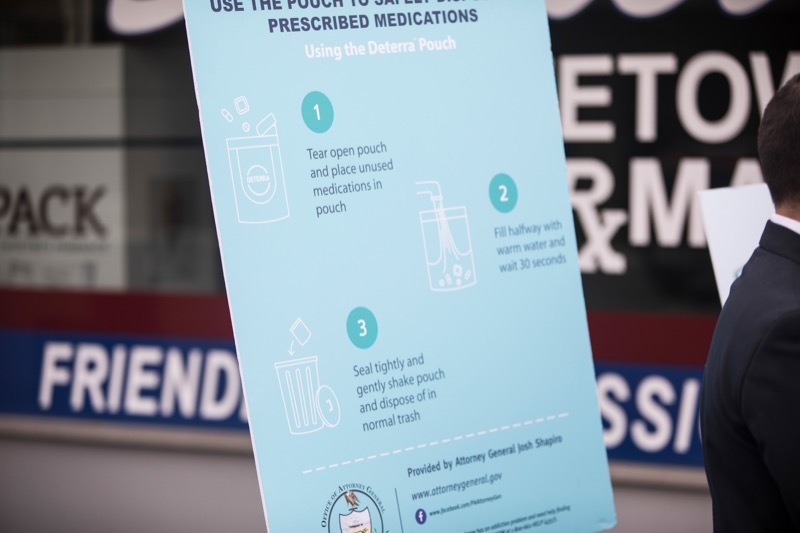 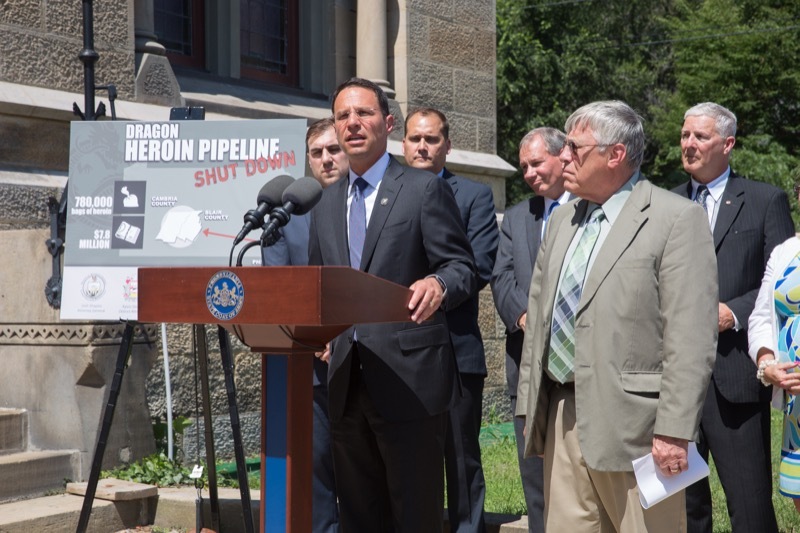 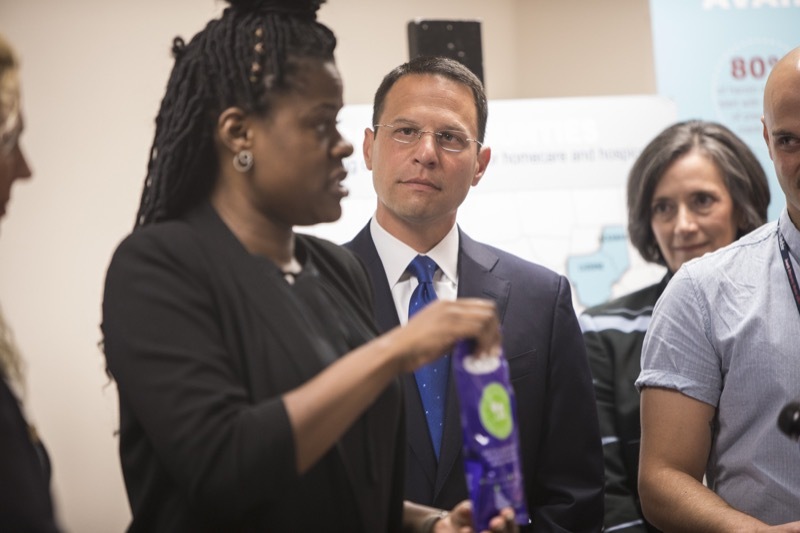 OCTA, PA - Unveiling a major initiative to reduce the diversion of prescription drugs in Pennsylvania communities hit hardest by the opioid epidemic, Attorney General Josh Shapiro today announced the Office of Attorney General will supply 300,000 drug deactivation and disposal pouches in 12 counties.